I think the only thing better than a good DIY home project is a free DIY home décor project. Amen? That’s only one of the reasons I love using old beat-up things that other people are throwing out. 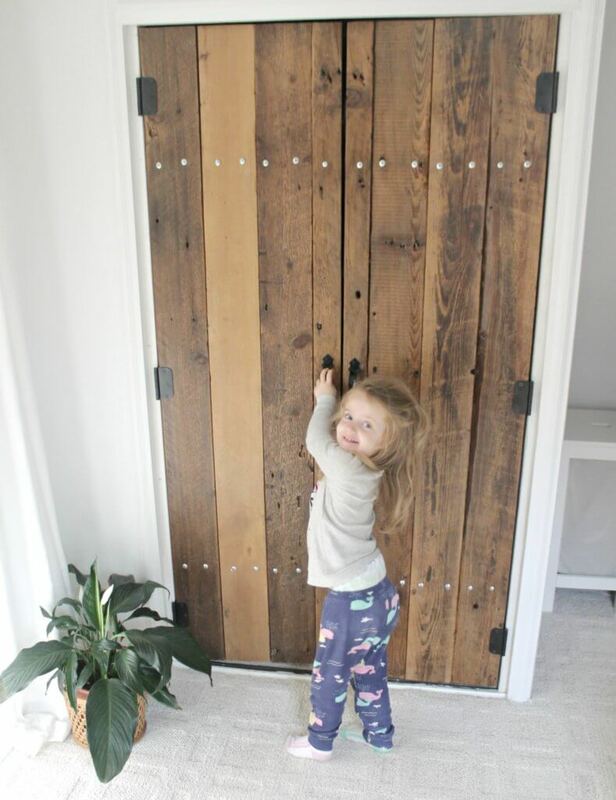 A family member house demo=reclaimed wood closet doors! 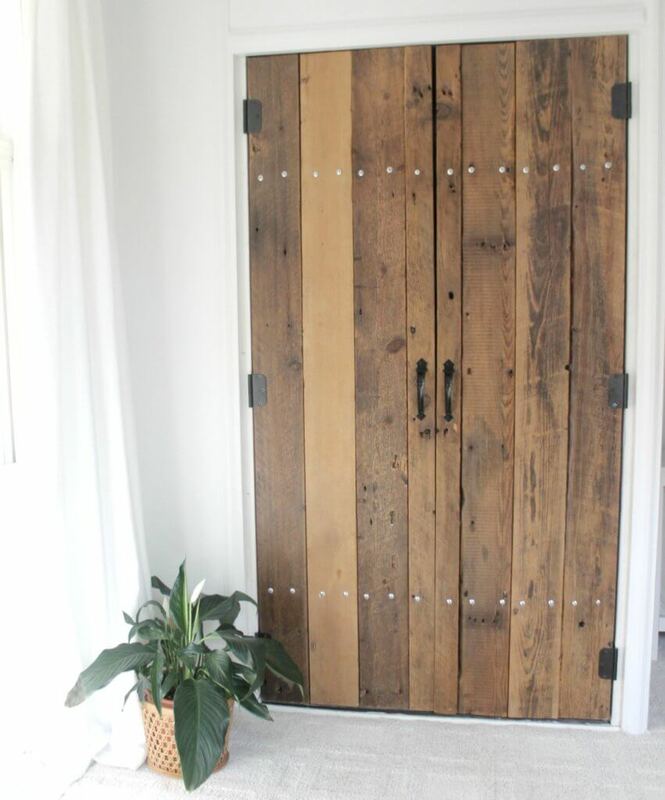 These doors have an authentic weathered feel that, try as I might, I just can’t recreate on new lumber. Just look at those knots and nail holes! Since I wanted the focus of this project to be the wood, we chose simple black hardware and did not stain the boards. Leaving them as-is really let the multi-dimension colors pop. So much better. Though I’m pretty sure I’m in the dog house, because (according to my husband) doors are not easy to build. I think for a woodworking novice, he did a pretty darn good job, though! To build the doors, all we did was tie the sanded boards together and use bolts to secure them. Then we applied a thick layer of polyurethane (the boards were really rough) to help smooth them down. 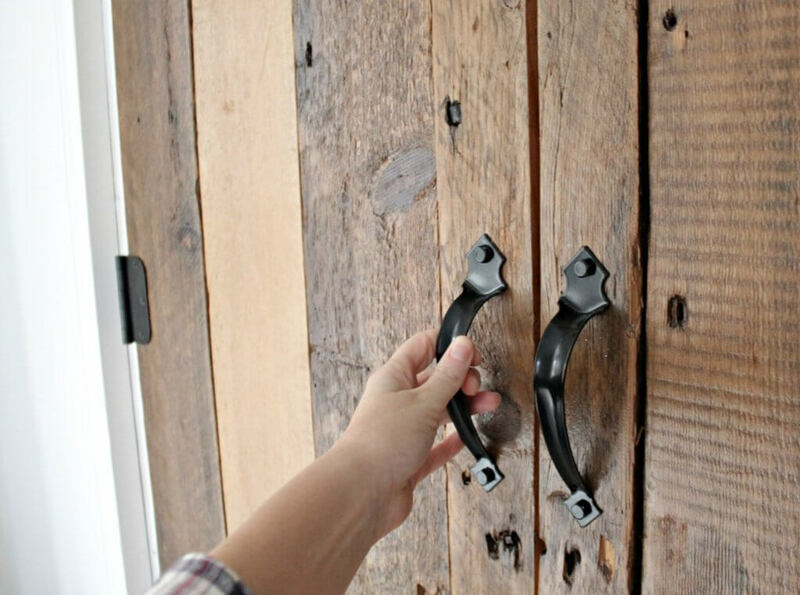 Attach hardware, secure them to the door frame, and just like that, you have yourself a focal piece. Excuse me, a toddler approved focal piece. What do you think? 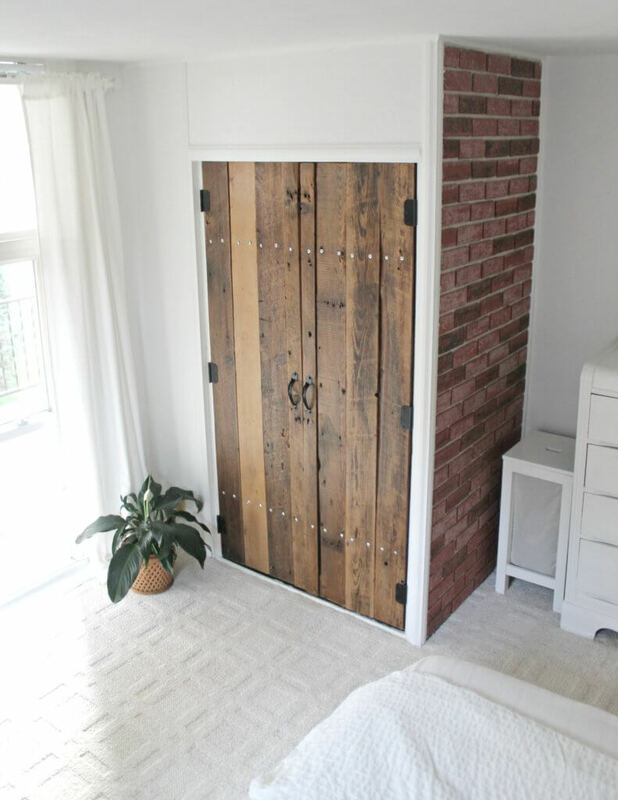 Would you ever try building reclaimed wood closet doors? We have one more big, exciting project to add to our bedroom before I’ll be labeling this room as DONE! 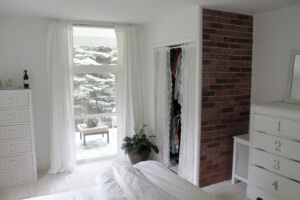 You can check out our progress and see a pretty unbelievable before and after bedroom tour here!